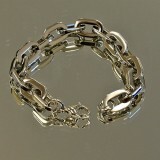 Love Curb Link Bracelet Bracelet 220mm long, 16mm wide, 4mm thick. 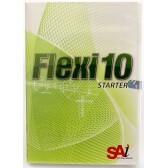 Secure Clasp Highl.. 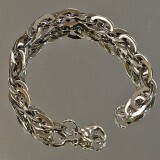 Stainless Steel 316L Oblong Double Link Bracelet. 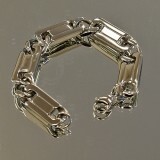 Bracelet 220mm long, 10mm wide, 3mm thick. 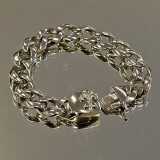 ..
Fleur De Lis Curb Link Bracelet Bracelet 220mm long, 16mm wide, 4mm thick. 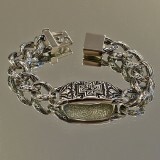 Secure Clasp ..
Celtic Cross Curb Link Bracelet Bracelet 220mm long, 16mm wide, 4mm thick. 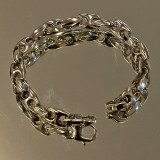 Secure Clasp .. 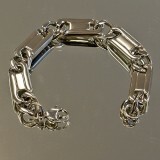 Solid Flad Link Bracelet Bracelet 210mm long, 15mm wide, 5mm thick. 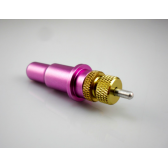 Secure Clasp High.. 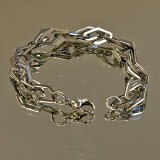 Solid Flad Link Bracelet Bracelet 200mm long, 15mm wide, 5mm thick. 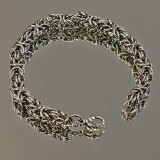 Secure Clasp High..
Celtic Cross Curb Link Bracelet Bracelet 200mm long, 8mm wide Secure Clasp Highly Pol..
Anchor Link Bracelet Bracelet 210mm long, 10mm wide Secure Clasp Highly Polished soli..
Celtic Cross Curb Link Bracelet Bracelet 200mm long, 12mm wide Secure Clasp Highly Po.. 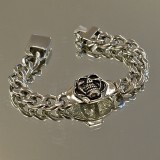 Double Diamond Link Bracelet Bracelet 200mm long, 12mm wide Secure Clasp Highly Polis..
Skull Curb Link Bracelet Skull 23mm across, 25mm long (approx). 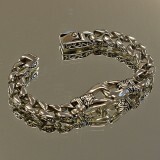 Bracelet 220mm long, 10mm..